2.High Quality: Medical grade sticky tape which is safe to use on your skin. 5.Apply for: Flexible Tape for Tape In Hair Extensions, wigs, skin, beard. 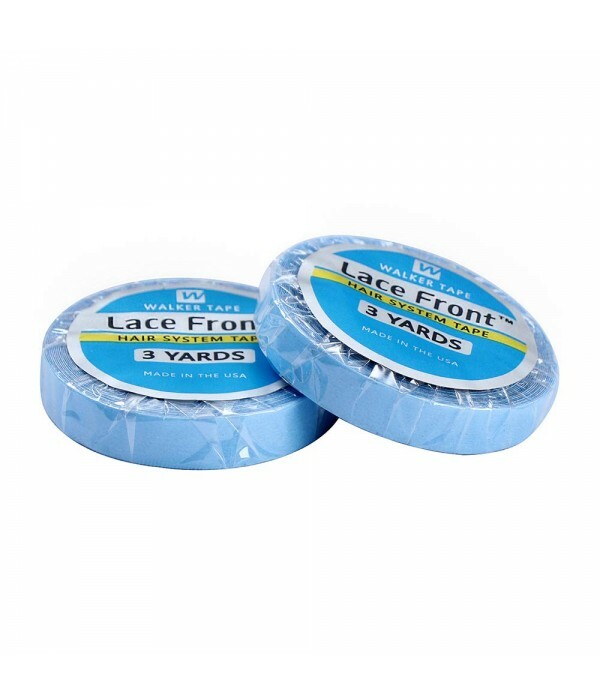 ✓Double-sided wig tape is used to adhere lace-front wigs or hair extension to the scalp. Securing the wig/hair extension in this manner allows for a strong hold and will offer a natural appearance. ✓Easy to remove and has a quick clean up. ✓Careful preparation of the hair and scalp will ensure an attractive and long-lasting result. How to use it for lace wigs? 1. Clean your face and hair line with face and water. 2. After drying your face, apply the scalp protector around your hairline. 3. If needed- mark with an eye pencil or washable marker on your forehead where you want the hairline to start for the full lace wig. 4. Apply the tape on the entire perimeter of the unit. 5. Place the full lace wig or lace front wig on your head and position correctly on your hairline. 6. 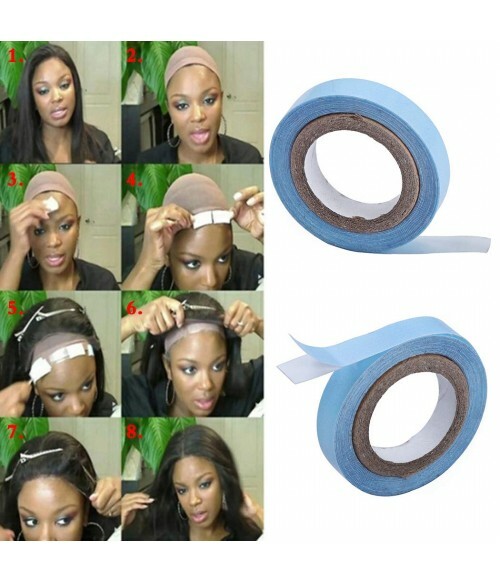 Peel the tape and press the unit/tape into your skin around the entire perimeter of your head. 7. Apply a scarf around your hairline to help with the wig tape adherence to your skin. 8. You can now style your full lace wig/ lace front wig as you like.